Working closely with designers and architects, on both commercial and domestic projects, Acorn Glass design and manufacture bespoke frameless glass screens, doors, enclosures, splashbacks and wall paneling that give their finished projects the look of originality and uniqueness; something you will always remember. 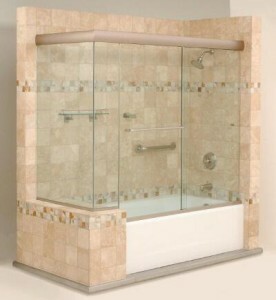 By using frameless glass to create your shower enclosure you will obtain a simple, stylish and elegant area with no heavy or unsightly fixtures, fittings or curtains and seamless glass to glass joints. 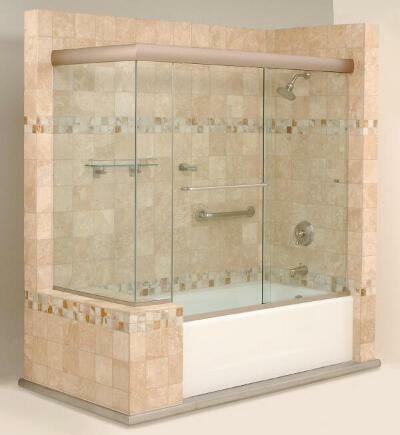 These full height screens may also be used as an alternative to shower curtains around baths. With a wide range of fitting applications and our ability to cut glass to any shape at our factory, we are able to meet all types of configuration requirements from enclosures and under-stair-case set-ups, to free standing systems. We have an extensive product range that includes over 25 styles of hinges and fixing brackets, a wide choice of accessories such has pull handles, towel bars, glass clamps wall channels, mirrors and mirrored accessories. At our Newport factory we are able to spray coat any glass panel to a colour of your choice, create a sandblasted pattern or have the glass printed to a pattern of your choice enabling you to have your glass screen blend in, or stand out. Our frameless glass screens have additional suitable application uses in the commercial sector, and a certain section of the domestic market, for steam and sauna areas, pool and gym areas, controlled storage areas and wine cellars. Our technical team will be willing to assist in any query you may have. Our technical team will be involved with you throughout the process during which time they undertake onsite measurements for manufacture, create templates to ensure accurate fit in the finished item and closely supervise the installation. They will turn your sketch or concept into a reality with the look of elegance. As an alternative to full enclosures Acorn Glass able able to offer you the alternative of frameless floor to ceiling glass screens creating a dividing screen and a walk in shower area behind, allowing the room wall finish to be fully visible and create the feel of a larger environment. All of our frameless glass door hardware fittings and brackets are manufactured in either solid brass or stainless steel giving longevity in use and, with a little care, a long elegant appearance.